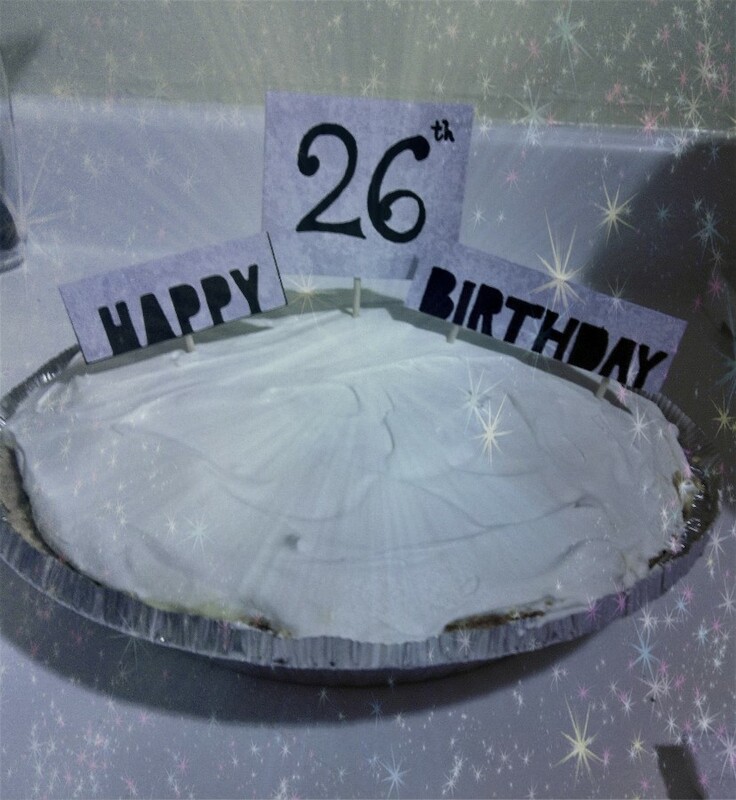 I made a banana cream cheesecake for a special friend's birthday. This was my first time making cheesecake! Only problem is, you can't exactly use frosting to write "Happy Birthday" on a cheesecake (yuk!) So I put together a fast, easy alternative with my Cut n' Boss. For the background, I chose a light colored patterned paper. You don't need to use a dark or busy background, otherwise, the words we put on later won't show up well. For the words to be facing right, put the die cut right on top of the patterned side. You don't want to deal with the frustration of ending up with backward words! Place the die cut on platform A, flat side down. Put your paper on top of this (the back side should be facing up). Remember with die cuts: D is on the bottom, then A (die cut on top of it), B, then A. Now stick it all through the slot of your Cut n' Boss and watch it do its magic! Now you need a second (solid)colored sheet of paper for the background. Then use a glue stick and stick it down. Let dry for a bit before cutting it out. Prepare to use your best penmanship to do the rest of the words. This is easier and turns out better when starting lightly with a pencil. Get all the spacing and centering worked out with pencil, then go over with a black sharpie. Lastly, tape the end of a toothpick(s) onto the back of the paper. You may need two for longer words. 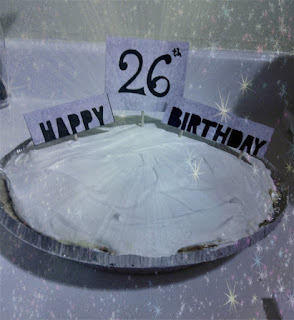 And there you go: a quick, simple, and inexpensive way to spice up someone's birthday dessert! P.S. The cheesecake was delicious!